Offering India’s first-ever Platinum 4G service, Reliance Jio is becoming the spearhead of the telecommunications industry as the best 4G network with the lowest data rate. It is offering nationwide free voice calls to any network without any roaming charges. In addition to its several feats, Reliance Jio has also become the Indian ‘4G-only’ network which is witnessing data usage of 16,000TB per day which is by far the largest data usage any carrier handles on a typical day at a global level. The company has an extensive network of 250,000 km of fiber optic cables across India and aims to accelerate the Digital movement in the country. After taking the telecom sector with a storm by its recent launch, Reliance Jio is emerging as the winner in apps arena too. The new entrant in the communications sector has left once leading WhatsApp and Facebook behind in its first stride itself with 7 of the top 10 apps downloaded from the Google Play store in India being from Jio family. 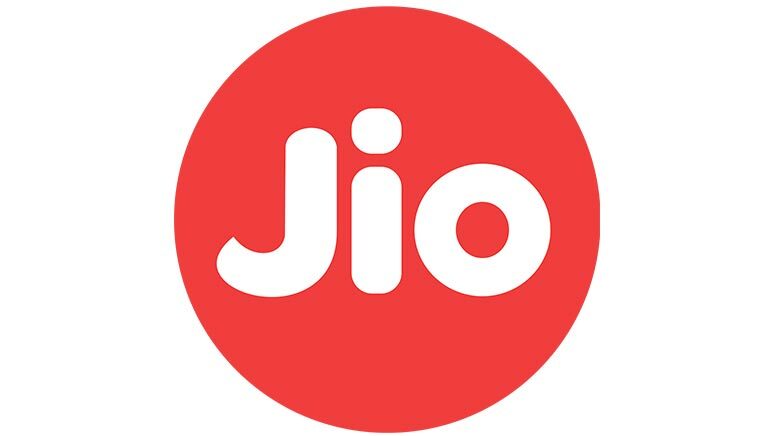 It has exclusive apps such as JioPlay, JioOn Demand, JioChatMessenger, MyJio, etc. on Google Play, which enable users to enjoy various exciting services, for instance, instant messaging, live TV, movies on demand, news, streaming music, and so on. It also gives extra discounts to the students. Recently, the company also announced that it is offering an additional 12 months of Jio Digital Services with the purchase of all Apple iPhone models. According to a recent report, the company is also planning to launch 4G VoLTE ready phones priced as low as Rs. 1000. This application is a one-stop-shop that makes planning, organization and management of trips easier. Just select the destination and create a trip by assigning dates. With Google Trips App booking of tickets and hotel rooms will be done with a few clicks. This application is not just for collecting information – it can also make suggestions. Through the ‘To Do’ tab one can get the best suggestions about what can be explored during the trip. This app serves as a perfect trip planner and travel guide for every person who is fond of exploring places. Available on Android, this free app offers editorial guides for more than 200 cities, and makes personalized recommendations on the basis of one’s Google history. Users will be required to log into their Google accounts for the app to work. One of the most attractive features of this app is that it works offline as well and one can download everything to his/her phone before leaving for any destination. The app includes maps and walking directions which scraps the compulsion of using an expensive international data plan for people. 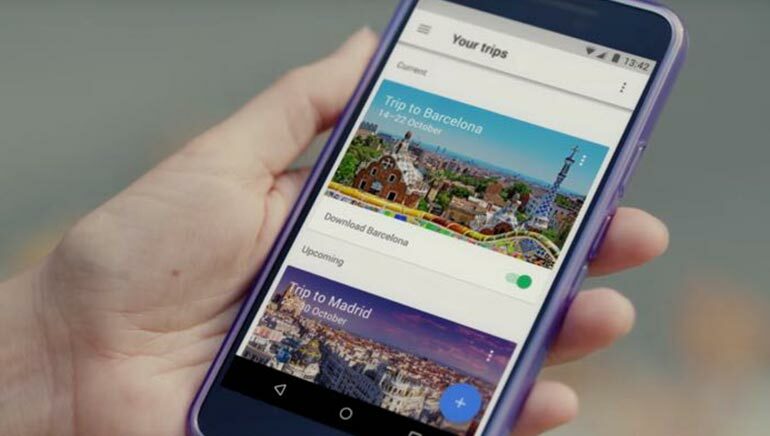 Richard Holden, Vice President of Product Management at Google Trips stated in one of his interviews that the Google’s Trips App is a culmination of more than two years of work in the process of improving Google’s travel products. The focal aim of this new travel app is to take away all the pain of planning for a vacation. Also, in the recent months Google has introduced Destinations, a travel-planning feature inside mobile search, and revamped its hotel and flight search features. OYO rooms, more commonly known as OYO, have extended its presence in the Chinese economy. This expansion is the third overseas expansion after Malaysia and Nepal for the Gurugram-based startup. OYO is an Indian hospitality service and budget hotel network, founded by Ritesh Agarwal in 2013 and is exploring the two big markets of India and China, alongside other Eastern countries like Indonesia. It is also set to take its enterprise in United Arab Emirates. In September 2017, OYO had signed a 5 year MoU with the China Lodging Group to facilitate and strengthen collaboration in order to build a worldwide market leading hospitality business. The MoU signed is for both parties to explore opportunities for mutual collaboration in fields like knowledge and technology sharing, strategic alliances – including but not limited to local sourcing and procurement and joint loyalty programs and investments. The multi brand hotel group had made a $10 million equity investment in OYO to become a minority shareholder (less than 5 per cent). Currently, the chain comprises of over 11,000 exclusive or franchised rooms in 26 cities including Hangzhou, Xian, Nanjing, Guangzhou, Chengdu, Xiamen and Kunming among others. It has also launched its services in Shenzhen, also called the silicon valley of China, and is considered one of the busiest and fastest growing ports in the world. It has covered 8 hotels with a room count of around 400. AsiaOne believes that the reason behind this move is the massive prosperity China’s tourism Industry is witnessing. It enjoys an influx of both domestic and International tourists and their market is considered as fragmented as the Indian hotel market. The firm has reportedly hired around 60-70 employees to run its operations in China. Furthermore, a substantial rise in the number of hotels and headcounts is expected in the near future. United Arab Emirates is planning to expand its horizons and fly its first astronaut into space by the year 2021, when it completes 50 years of its foundation. By the end of 2018, Emirates will have its first astronaut titled, recruited and trained to make history. This is the first ever space programme to be launched by the UAE and a realization of UAE’s pledge to become a global leader in space exploration over the next 50 years. The recruitment process is rigorous and detailed. Citizens first fill out an online form, the required additional information and supporting documents to the UAE Astronaut programme at the Mohammed Bin Rashid Space Centre (MBRSC). Men and Women aged above 18 are welcomed and have to go through a screening process which involves basic psychometric tests and medical examinations to determine the fitness of the candidate. Once shortlisted, more advanced and elaborate psychometric examinations will be taken, followed by a final interview round. The qualified 4 candidates will be sent to the International Space Station (ISS) to carry out vital experiments and work that will contribute to the scientific community’s understanding of human space flight to meet future challenges as a part of their training. The selected candidates will be a part of the Astronaut Corp of 2019. Currently, there are over 2,000 applications received from people aged 18 to 60. This is a very exciting phase for the citizens of the country and their enthusiasm will accelerate the Prime Minister Mohammad Bin Rashid’s goal of launching the first unmanned Arab probe to Mars in July 2020. The orbiter will be called “Amal” or “Hope”. In the far future, UAE also has plans to builds what it calls a “Science City” to replicate life on Mars and aims to create the first human settlement on the red planet. A new online portal, called the I-Shuttle, has also been launched by the UAE Space Agency for the citizens to engage with and drive their interests in space. Strengthening their Tanzanian partnership, Nokia and Vodacom introduced 4G in Dar es Salaam in May 2016. With this service, Vodacom has become the largest wireless telecommunications network of the country. The services were started in Dar es Salaam on 11 May 2016 and are expected to reach all major cities of Tanzania in the upcoming times. While Vodacom is looking forward to 200Mbps download speeds as an “eventual goal”, for the present time, it is believed that the network is capable of delivering downlink transmission speeds of up to 70Mbps. Prior to this launch, the company began testing 4G LTE in 2013 with Nokia Networks. It is expected that the coverage will gradually extend to other major parts of the country as well. Earlier, Nokia also supplied 2G and 3G equipment for Vodacom. Presently, Nokia marks its presence in almost all countries in Africa and is striving hard to expand its reach across other global destinations. It also manages Vodacom’s network in Tanzania. The Country Senior Officer of Nokia, Pete Beadle said “Nokia is spending 4.5 Billion ‎Euro per annum. That is equivalent to the GDP of Dar Es Salaam. It is a serious investment done to make sure we will continue leading innovation to expand the human possibilities of the connected world.” He also remarked that this launch is an exemplification of the effort Nokia is setting into research and development. The company asserts that it has a vision to lead Tanzania into the digital world and hence make sure that they provide state-of-the-art services across the nation. Understanding the crucial position that network has in the socio-economic development of a nation, this launch has set a milestone in the telecommunications industry of the country. One of the leading Chinese mobile manufacturing companies Huawei unveiled its P9 series in South Africa in the first week of June 2016. Huawei P9 is the world’s first co-engineered Leica dual-camera smartphone. The launch also uncovered two other primary devices of the range – P9 Lite and P9 Plus. The phone’s USP is its dual camera which is co-engineered by the premium German camera manufacturer Leica. The first camera of the P9 is a standard 12 megapixel camera with an RGB sensor that can take photos in full color; the second camera contains a monochromatic sensor and takes black-and-white photos. The device also offers professional photography option like changing ISO, shutter speed, and focus. And its 8 MP front camera can keep the user on top the selfie game. “We are excited to give our users the ultimate smartphone photography experience. Consumers around the world use their smartphones to take billions of pictures each year, making photography critical to their everyday lives,” says Charlene Munilall, GM at Huawei Consumer Business Group. The phone comes with a new-generation 2.5 GHz processor and 3000 mAh battery and a finger-print sensor. The device comes with either 32 GB or 64 GB RAM which can be extended upto 128 GB. The phone’s look is also amazng with diamond-cut edges, aluminium unibody and superior grade glass. Huawei P9 is available in three colurs: Haze Gold, Ceramic White and Titanium Grey. Its 5.2 inch screen comes with a resolution of 1080p. The Huawei P9 can be purchased at a price of Rs. 12,999 from all local operators. P9 Plus is priced at Rs. 15,000. For the customers with lower budget the P9 Lite can be an apt choice with a retail price of Rs. 4,499. But the phone lacks the dual camera. The Huawei P9 series has garnered immense popularity among the customers of the region and the sales have surpassed the company’s expectations. According to Huawei with the support of its tremendous growth in the South African market the companiy’s global market share has increased to 8.5%. In a recent discovery, Rosetta Spacecraft has detected amino acid glycine, a key building block of life, in the Comet 67P Churyumov–Gerasimenko directly for the first time. 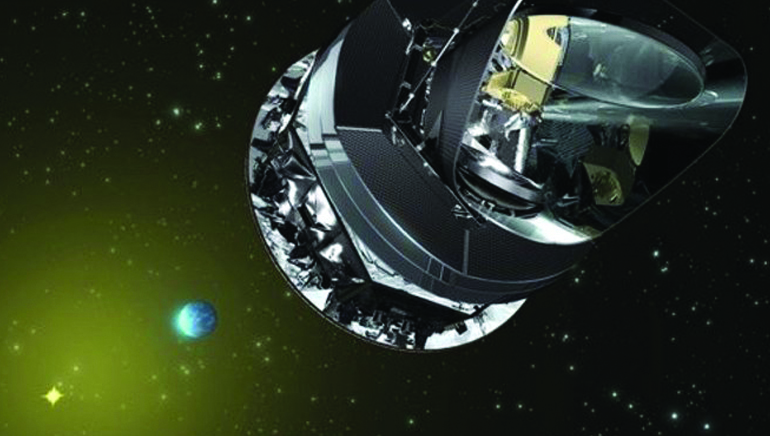 This discovery supports the various theories related to the relation between life’s ingredients and the cosmic bodies. An instrument known as the Rosetta Orbiter Spectrometer for Ion and Neutral Analysis (ROSINA) mass spectrometer was used to discover the element. Rosetta is a space probe built by the European Space Agency launched on 2 March 2004. It became the first spacecraft to orbit a comet on 6 August 2014 when it reached Comet Churyumov–Gerasimenko. It made its first detection in October 2014 when it was just 10 km from the comet. The other detection was in March 2015, when it was 30–15 km from the nucleus during a flyby. Katherine Atwigg, principal investigator of the ROSINA instrument at the Center of Space and Habitability of the University of Bern said that “This is the first unambiguous detection of glycine in the thin atmosphere of a comet”. According to her, this discovery suggests that glycine is a common particle in the areas of universe where celestial bodies have formed. She also revealed that ““At the same time, we also detected certain other organic molecules that can be precursors to glycine, hinting at the possible ways in which it may have formed.” The spacecraft also found phosphorus which is also one of the key components of DNA and cell membranes. Earlier there was a long debate on whether comets and asteroids have any relation in the beginning of life, and this recent discovery seems to clear that debate by proving that comets do have a potential part in the creation of life. This is a crucial discovery that will unfold many secret related to the mysteries of beginning of life. Chinese tech giant Huawei has launched its most talked about smartphone ‘Mate S’ and ‘Huawei Watch’ for the Middle East region in Dubai. The Huawei Mate S’ touch screen control technology is a perfect amalgamation of chic design and master craftsmanship. Its touch feature goes in sync with Huawei Mate S finish and gives an excellent opportunity to preview and enlarge the screen by pressing it with one finger while viewing photos. 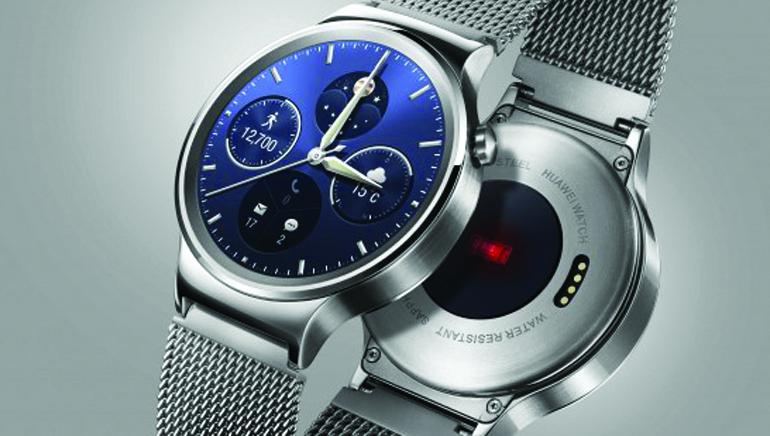 The Huawei Watch has been crafted from stainless steel, with a sapphire 1.4-inch display and includes 4GB of storage and 512MB of RAM capacity. The device uses the Android Wear operating system and includes a fitness tracker, heart rate motor, motion sensor and barometer. They are available across select retail outlets across the region.